There are major changes this year in the events at WTM, London. 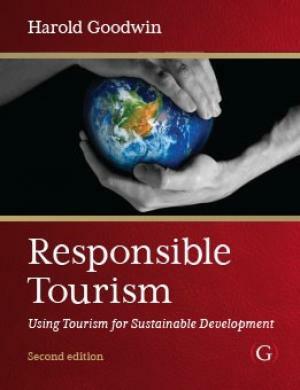 Amongst many other changes, the Responsible Tourism programme will run on multiple stages around the show. This creates an excellent opportunity for us to take the messages to a much broader audience in all parts of the show. The stages will have common branding and there will be a Responsible Tourism programme published as well as a Responsible Tourism themed café area to provide a meeting place. At the heart of the responsibility, agenda is taking care of the security, health and safety of guests and visitors. In a ‘foreign’ place – even if they are a domestic tourist – there are health and safety risks with which they are unfamiliar. How best can these risks be managed and reduced? Whose responsibility is it? Our focus in this panel is on the role of businesses in ensuring the security, health and safety of guests and visitors. Porter, the Harvard Academic who gave us cluster theory, has been pointing to the importance of businesses going beyond CSR and creating shared value – creating and growing employment and enterprise opportunities for the communities in their neighbourhood. With the growth of the experience economy and increasing interest in the local the tourism industry has particular advantages, four businesses show how creating shared value makes business sense. Barcelona has led the way in addressing the challenges of overtourism, other cities are beginning to address the problem of success. In order to tease out the available strategies for coping with success, managing ever greater numbers of domestic and international visitors in global cities, Martin Brackenbury will interview senior destination managers from Amsterdam, Barcelona, London and New York What are the management strategies available, what works and what doesn’t? Joan Torrella, Managing Director of Turisme de Barcelona. 14:15 – 15:15. How do we best achieve progress on Child Protection? 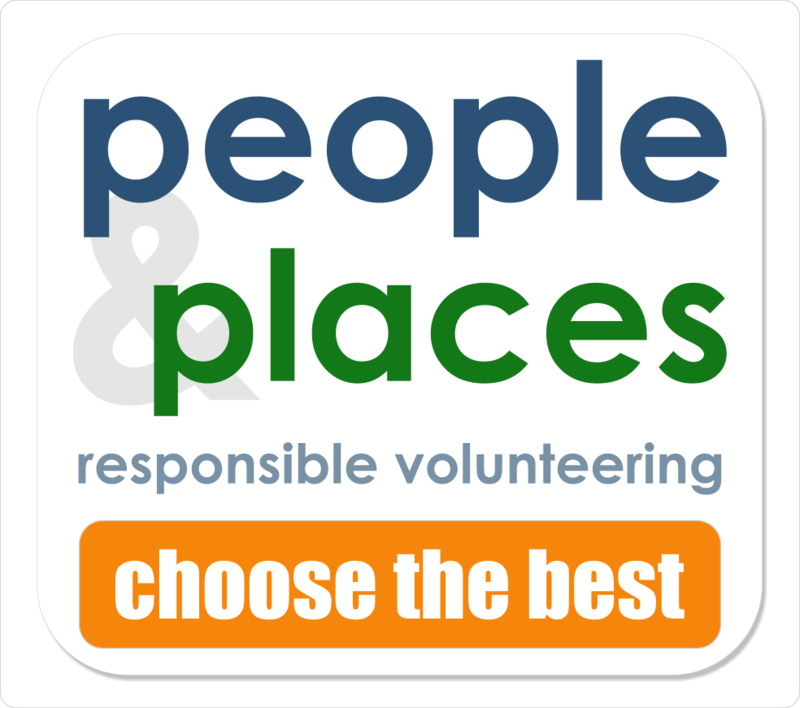 Since 2011 child protection has featured in the Responsible Tourism programme at WTM, London. After seven years it is time to take stock and reflect on how much progress has been made around the world in addressing the risks to children associated with travel and tourism: the issues of child labour, orphanages, begging, trafficking and the sexual exploitation of children. Three experts discuss what we have learnt about the best ways of making progress on child protection. Tourism takes place in destinations with multiple stakeholders, attractions, accommodation providers, transport, food and beverage providers, tour operators and guides, local people and local authorities. Rarely can much be achieved by one stakeholder working alone. Achieving change in destinations where tourism takes place generally requires that different interests work together. Five practitioners for a range of backgrounds will discuss what works and what doesn’t to shed light on how to do it better. 16:20 – 17:00 Is the industry reducing the plastic pollution it causes? In the mainstream media and on social media there has been a stream of coverage of the plague of single-use plastic. Consumer awareness of the impacts of discarded plastic on our environment and on marine and terrestrial wildlife is rising fast. What have tourism businesses and destinations done to address the challenge of waste plastic? What are the most effective strategies and why is more not being done? Victoria Barlow, Environmental Manager, Thomas Cook. In 2017 there were 5bn+ visits to tourism sites by domestic tourists, including foreigners with local visitor permits and 139 million international arrivals. Only 7% of Chinese citizens have passports but they made 145m overseas trips in 2017. In 2016 Chinese tourists spent $2,611 million abroad, the Americans managed only $1,236 million. Internationally China has more impact on international travel and tourism than any other country. What are the prospects for Responsible Tourism in China and what impact will growing numbers of Chinese tourist have on the destinations they choose to visit? Daisy Wang Co-founder and Chief Strategy Officer, D&J Global Communications. 11:00 – 11:45 Wildlife: animal welfare and conservation. What responsibility do travel trade associations have to promote animal welfare amongst their members? New research from the University of Surrey supported by World Animal Protection examines whether responsibility is being taken towards sustainable development broadly and animal welfare in particular. An opportunity to share information about the current campaigns, to reflect on the success or otherwise of different approaches and to discuss priorities. This panel brings together women who own tourism SMEs in the tourism sector in Kenya and Ghana. How can women in tourism best be supported and connected to the international market to enhance the business opportunities valuable to them and to empower them? 12:30 – 13:45 What can we learn from Barcelona? Barcelona is offering a session where they will share with participants the ways in which they have tackled the challenges of overtourism in a city which resolutely avoided scapegoating tourists. City managers have been working for many years to develop mechanisms to better manage tourism in Barcelona, which the issues boiled over in street protects around the elections in 2015 they had the political support of the new mayor, Ada Colau. Over the last three years, they have tried a whole series of management initiatives from licencing Airbnb to moving bus stops. Barcelona will share with us the measures they have taken and discuss which have been the more successful. Invaluable knowledge for those struggling to cope with success or expecting to struggle in the future. The disadvantaged are often excluded from employment and participation in travel and tourism. Article 7 of the UNWTO’s Global Code of Ethics identifies the “universal right to tourism” as “the corollary of the right to rest and leisure” guaranteed by Article 24 of the Universal Declaration of Human Rights. In recent years at WTM, London we have had many panels focused on the rights and needs of people with disabilities with the financial resources to travel. This year our focus is on those without the resources to travel – what can businesses and destinations do to enable the disadvantaged to have a holiday or even a day-out? How can the disadvantaged benefit by becoming producers of tourism? Storytelling has the power to influence responsible tourism and sustainable tourism development through authentic, character-driven films and strategic distribution campaigns. GLP Films will share insight from a decade of award-winning storytelling and marketing campaigns for the travel industry. Learn from global case studies based on GLP’s storytelling work producing 200+ films in 35 countries, in partnership with leading destinations, tour operators, media, and more. Leading practitioners in Responsible Tourism, in marketing and campaigning, discuss recent campaigns and throw light on the trends and the most effective means of communicating on the issues and the experience. Sao Paulo and Cape Town have both had crises over the supply of potable water, many more cities and destinations face challenges. In this panel discussion, we’ll explore the scale of the problem and the measures which can be taken to avoid water shortages creating an economic crisis. Jacqueline Jackson, Account Director for EMEA & ROW for the Corporate Business at Trucost, part of S&P Dow Jones Indices. Tourism is one of Africa’s most promising sectors for development. We look at two places where further investment could bring development by creating sustainable livelihoods for local people. At Bwindi in Uganda, local communities are successfully developing new products for sale to tourists and increasing their incomes. The new Gambian administration is promoting inclusive culture centred tourism. New community based responsible tourism initiatives disperse economic benefit to rural areas, diversify Gambia’s tourism product by providing new and authentic heritage excursions that build on the untapped potential of the River Gambia and extend the season. The new post-apartheid democratic government adopted Responsible Tourism understanding that the industry could create employment and offer development opportunities in rural and urban areas. Derek Hanekom will reflect on South Africa’s Responsible Tourism initiatives and talk about why this approach matters in South Africa and globally. The BBC’s Tanya Beckett will host a roundtable interview with women leaders in Responsible Tourism to consider how much progress the sector– tour operating, hotels, destination management and transport – has made towards achieving sustainability. 2018 marks the centenary of the vote in the UK being extended to women over 30, the equal franchise came 10 years later. Has the emergence of women leaders in travel and tourism companies made a difference to the Responsible Tourism agenda and progress towards achieving it. Kevin Curran Vice Chair of Unite London Hotel Workers Branch. With the growth in experiential tourism and growing awareness of the scale of the contribution which well managed tourism can make to local economic development there is increasing awareness of, and interest in, indigenous tourism. What is best practice in indigenous tourism? How best to market and deliver it?